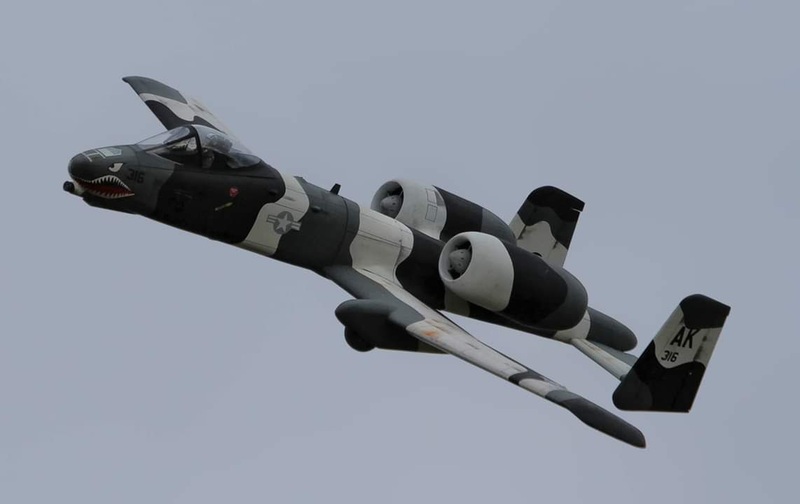 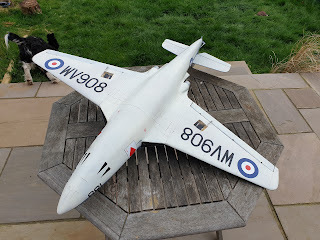 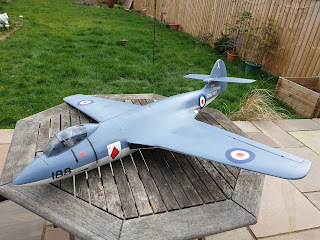 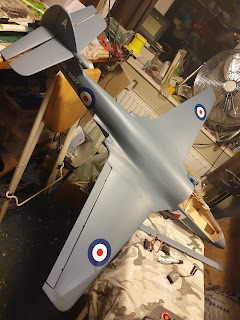 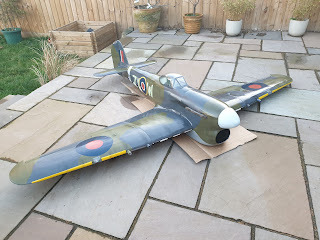 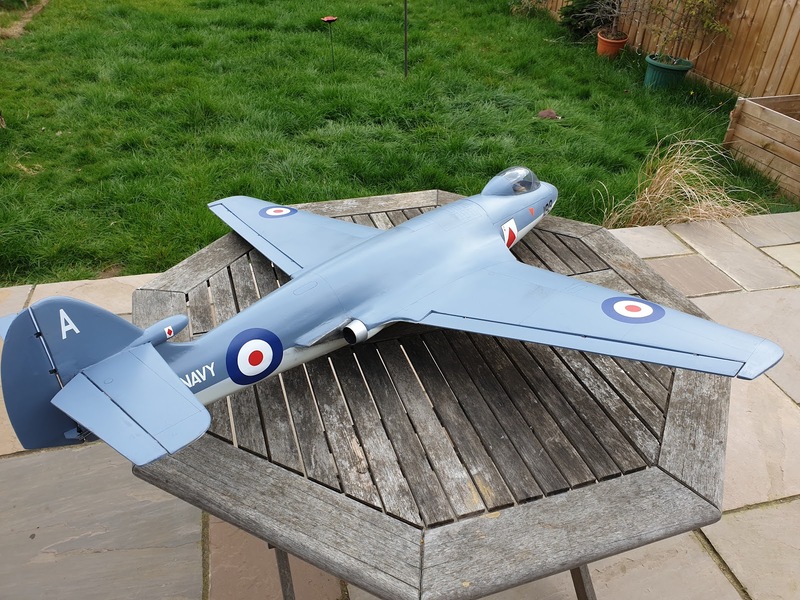 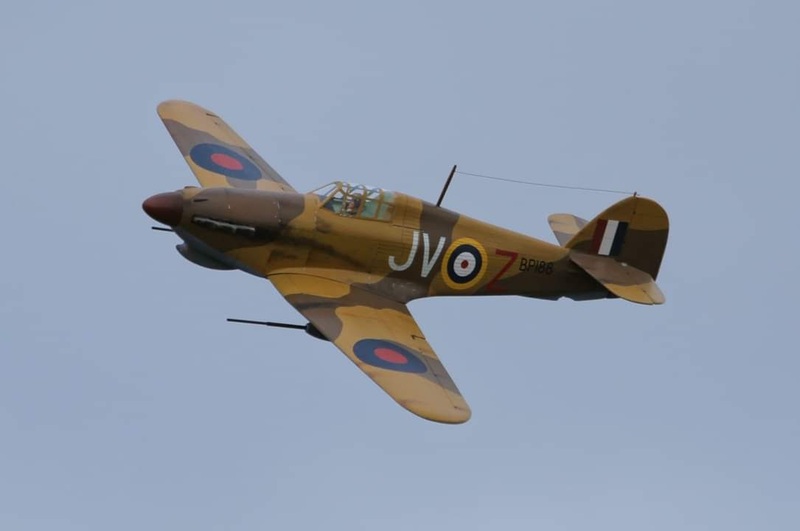 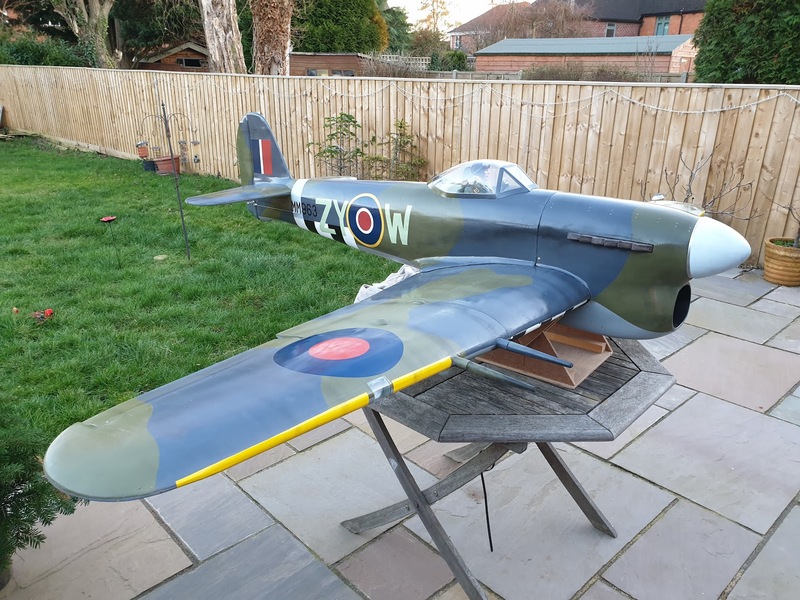 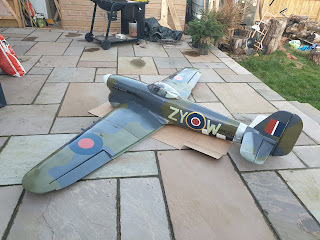 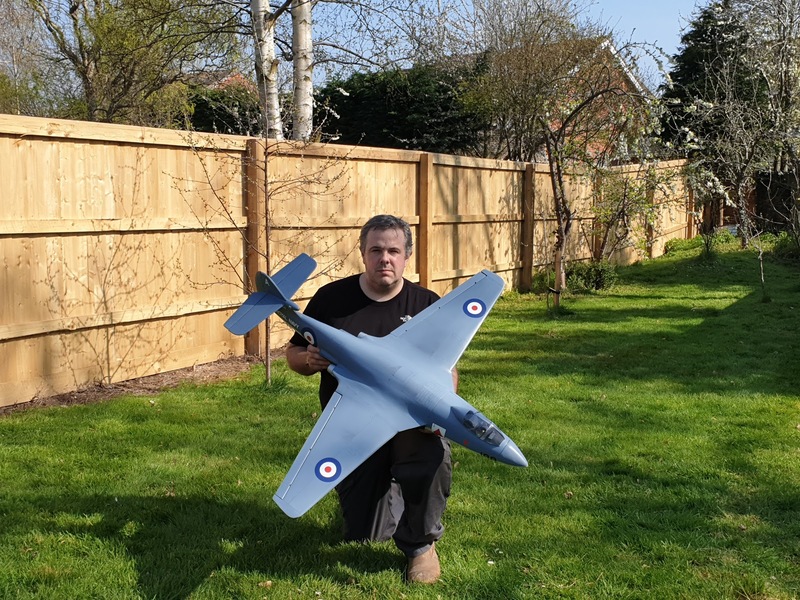 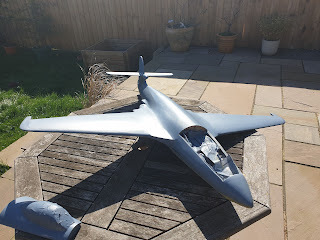 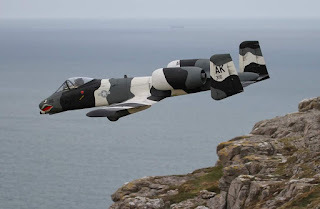 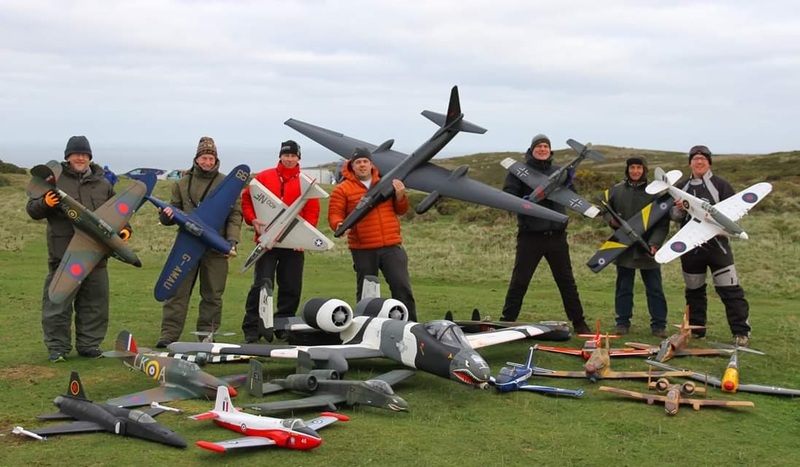 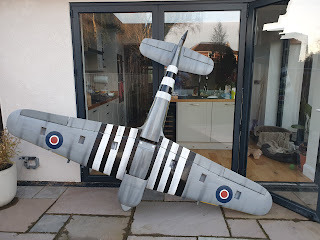 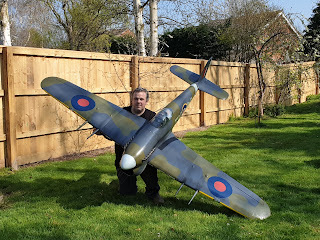 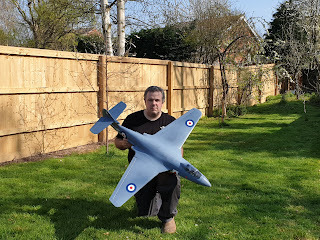 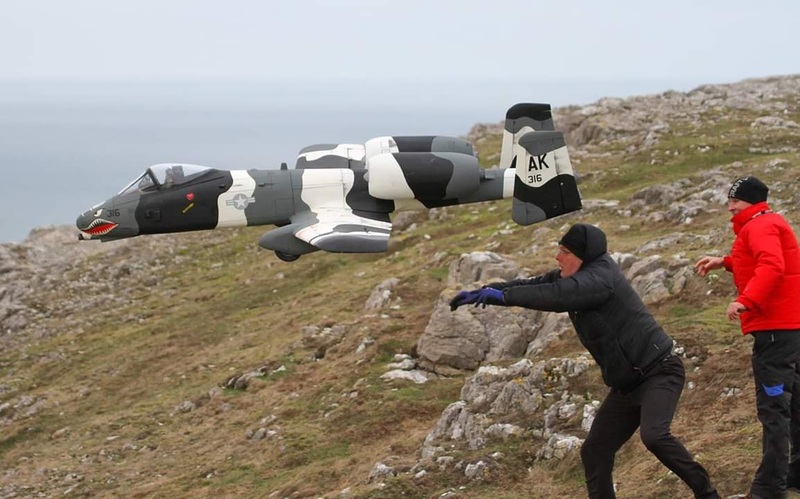 Hawker Seahawk for PSS - complete! 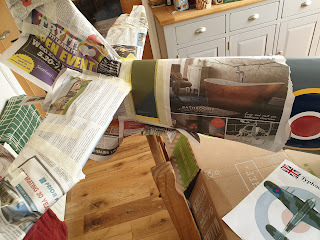 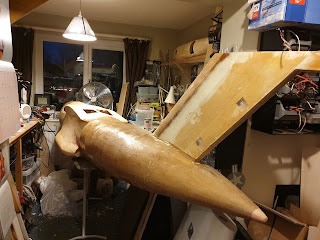 With Shona away in the USA for a while, Seahawk work has progressed quickly! She weighs a svelte 3lb's on the nose ready to fly with a 2500mAh LiFe battery up front. 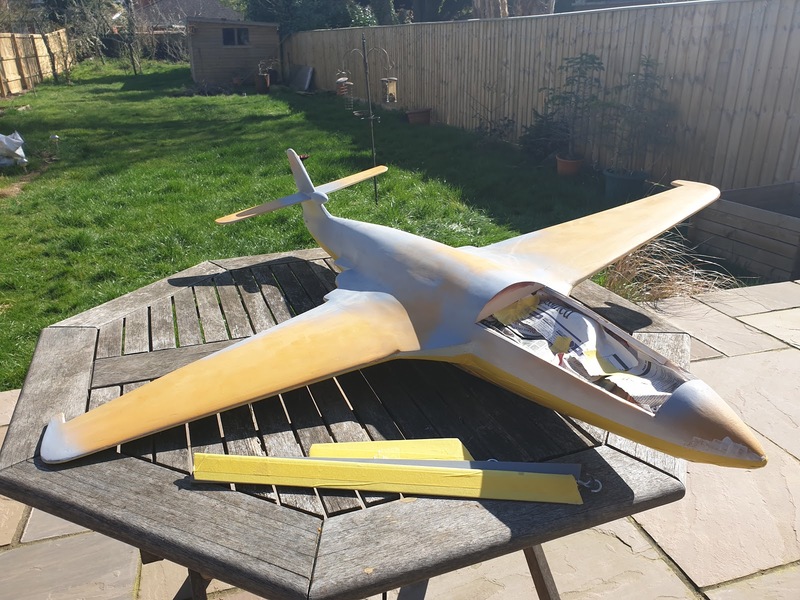 All programmed up and balanced...now we just need some wind! I made up the looms for the Tiffie, installed all the servos (8), made the myriad of links and closed loop runs, then programmed the lot into the FRSky Horus. 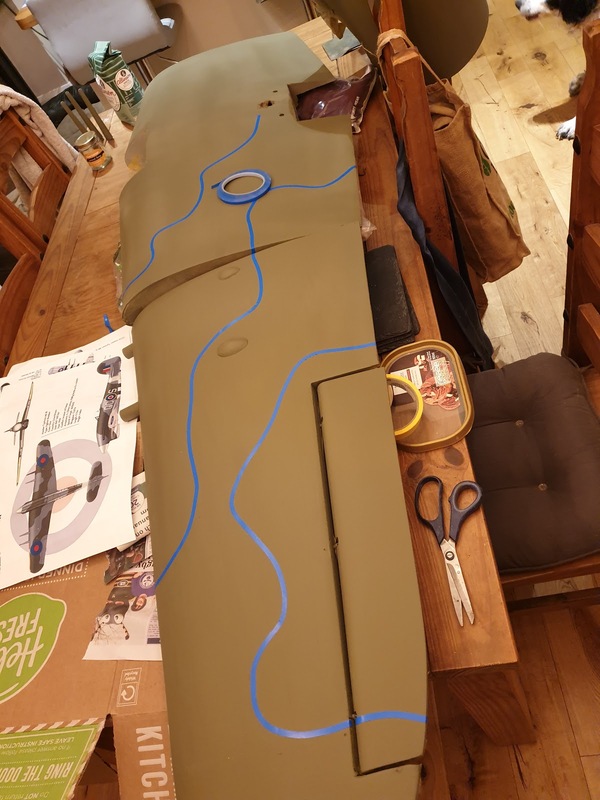 All told, she's 31 lb AUW which includes about 8lb of lead behind the spinner! 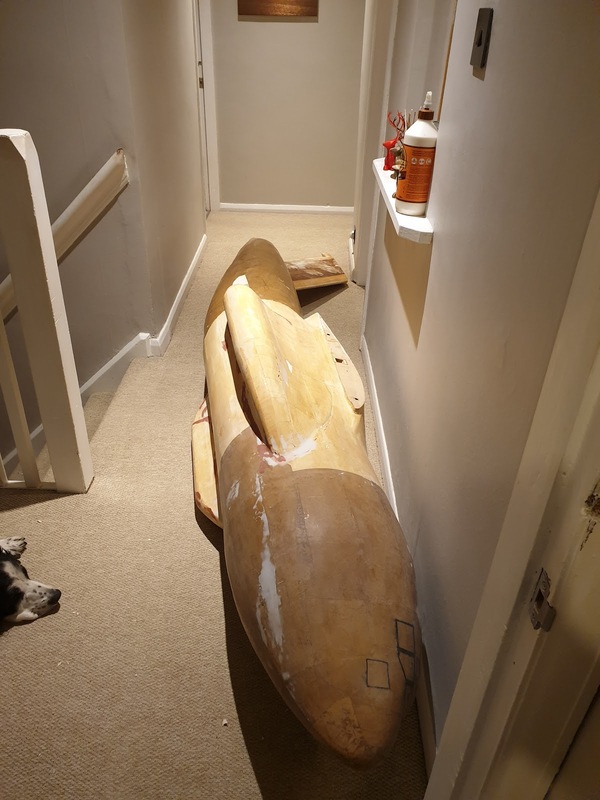 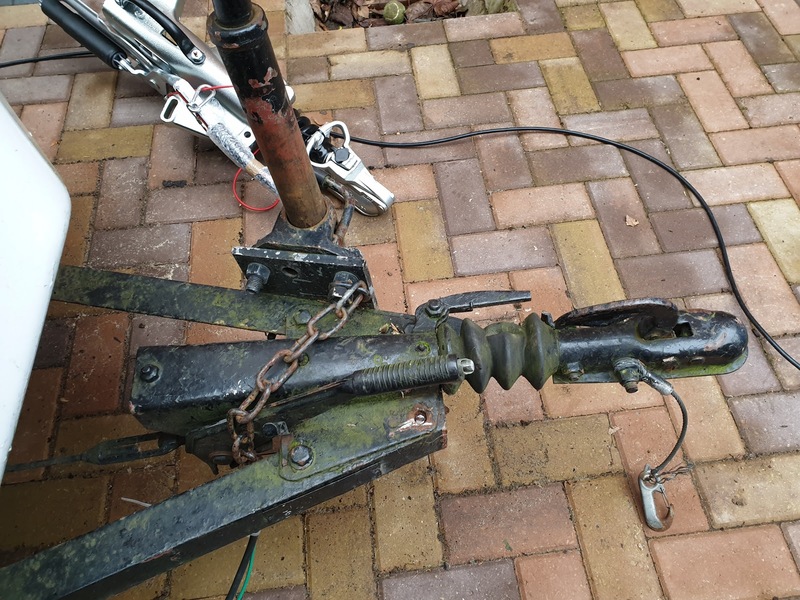 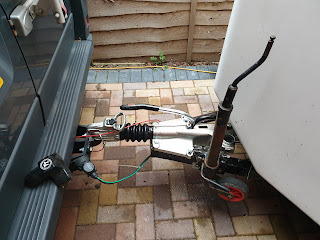 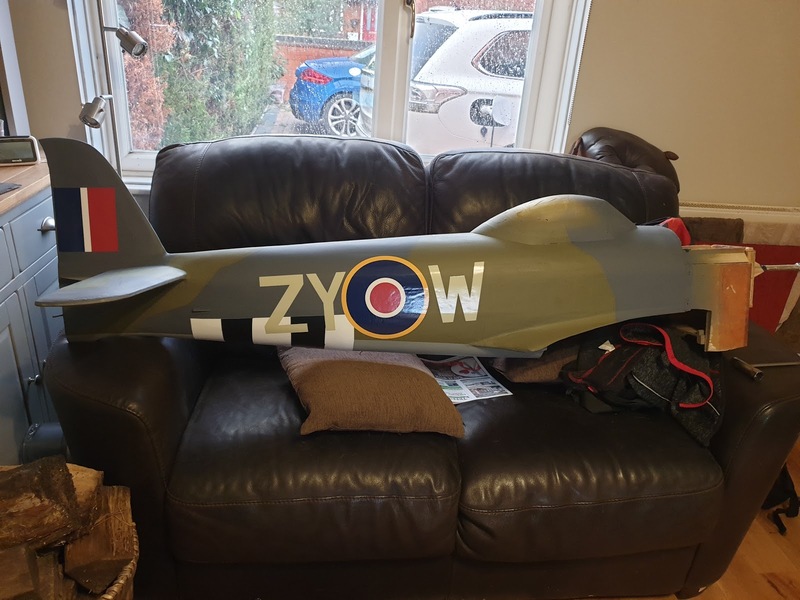 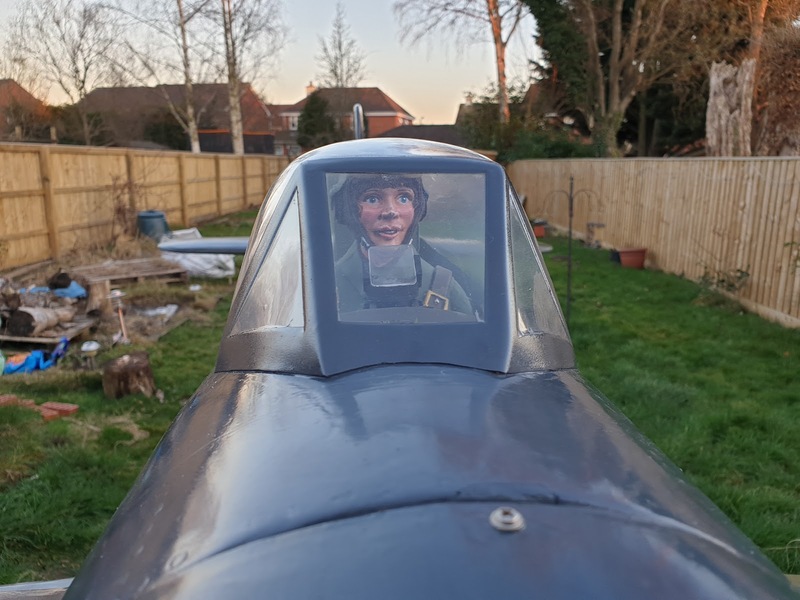 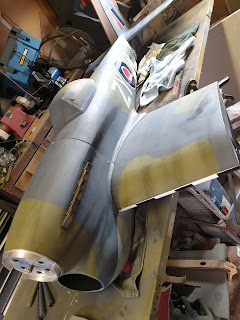 Well, it is a short nose and she used to have a 90cc engine up there, and still needed about 3lb of lead with that, so I've saved around 8lb from the old AUW, which isn't too bad as a percentage. 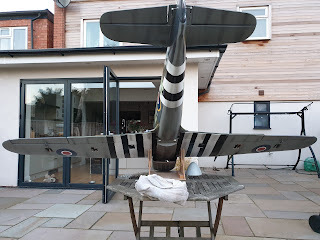 Wing loading comes out in the region of 39 oz sq ft, and a WCL of 11 - quite respectable compared to the A10. 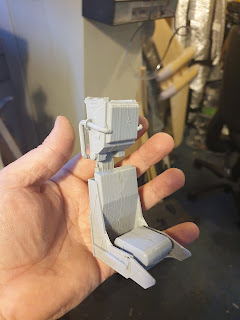 I'm just painting the servo covers, and printing a mount for the redundancy bus, then she'll be RTF. 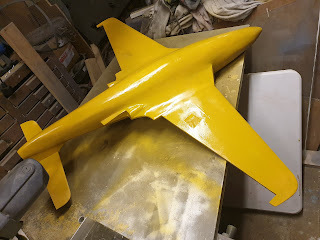 When that was all dry, time to shoot the lacquer, and that's it for paint! 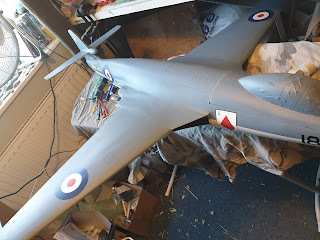 Time to get on with wiring, controls setup and balancing...great! Then onto radio and linkage installation, then balancing. Phew! 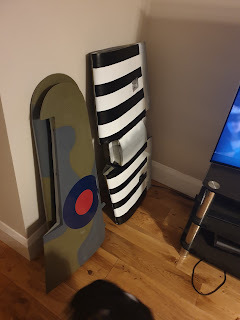 I should be able to flip that over tonight and the other side. 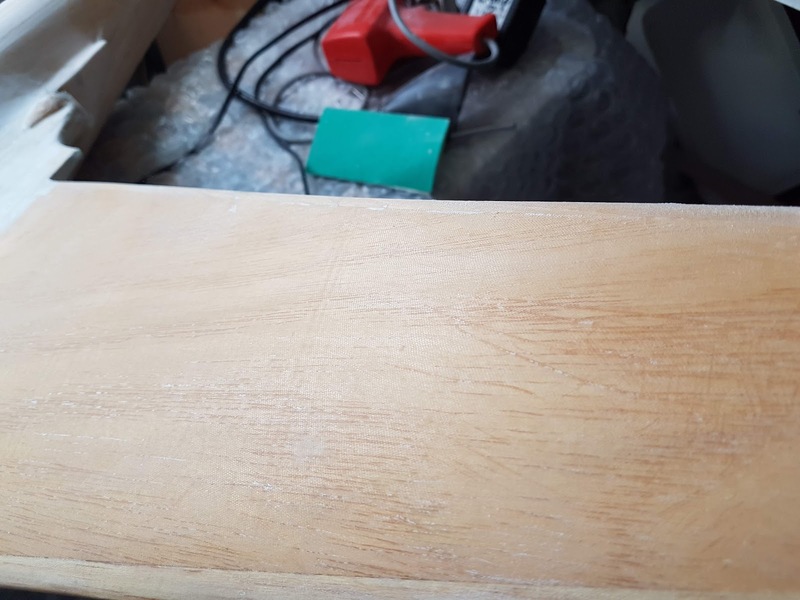 Once they are carved to shape, they will need a layer of glass, and the joint between the two halves can then be finalised and gap-filled. 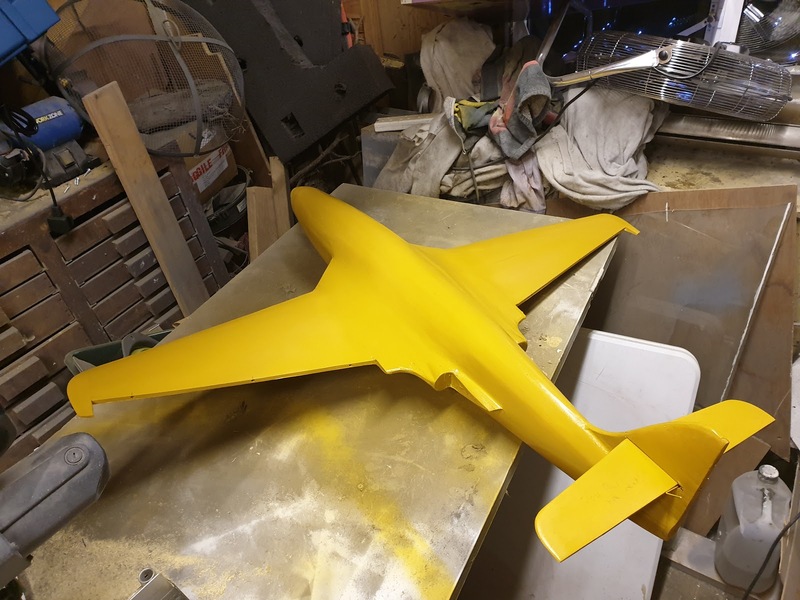 That will clear the fuselage for primer then! 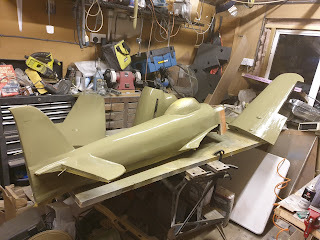 Just the cockpit to finish up, top access hatch, then into final paint. 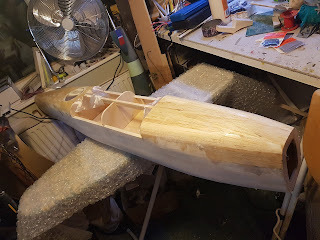 Nearly there! Apologies as they're photos of my screen, and not screenshots. 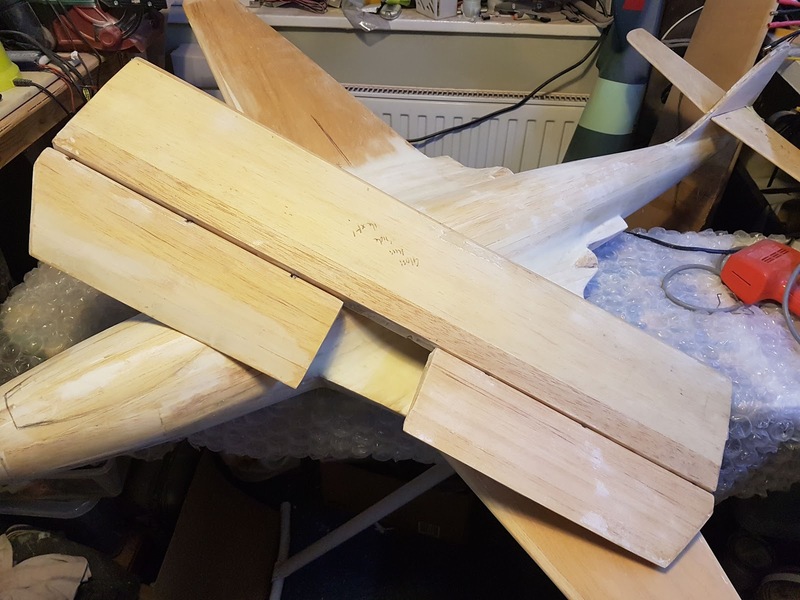 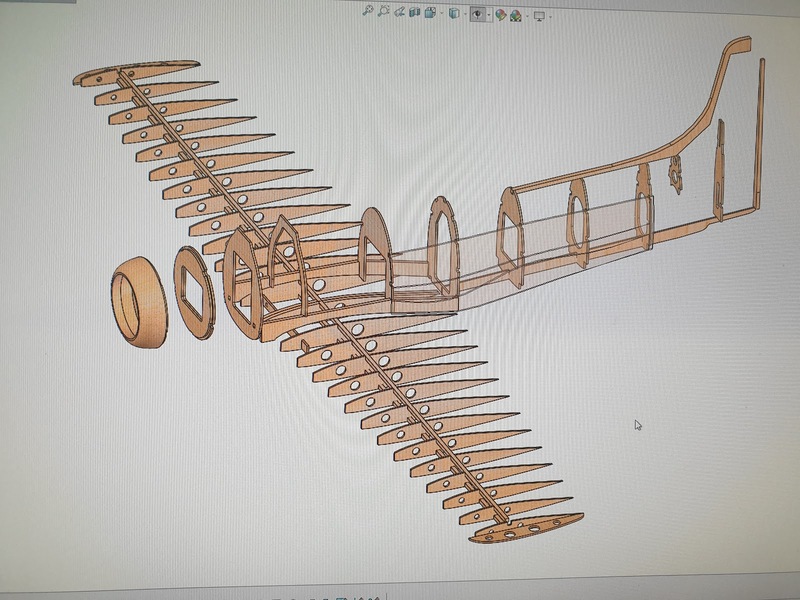 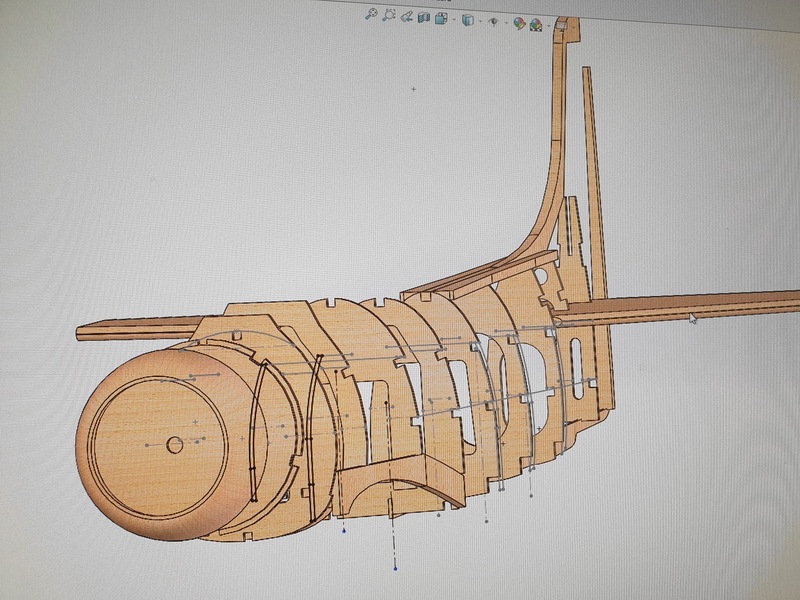 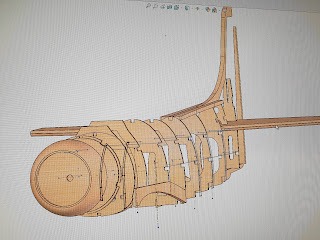 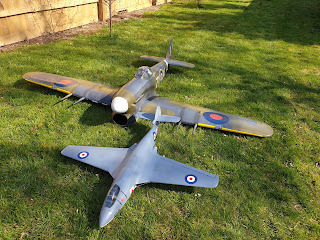 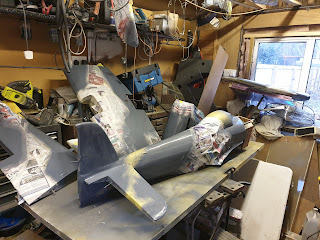 I hope to cut some parts for the Skyraider later in the year, will see how she goes. 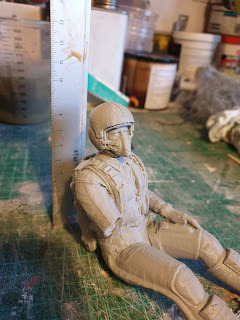 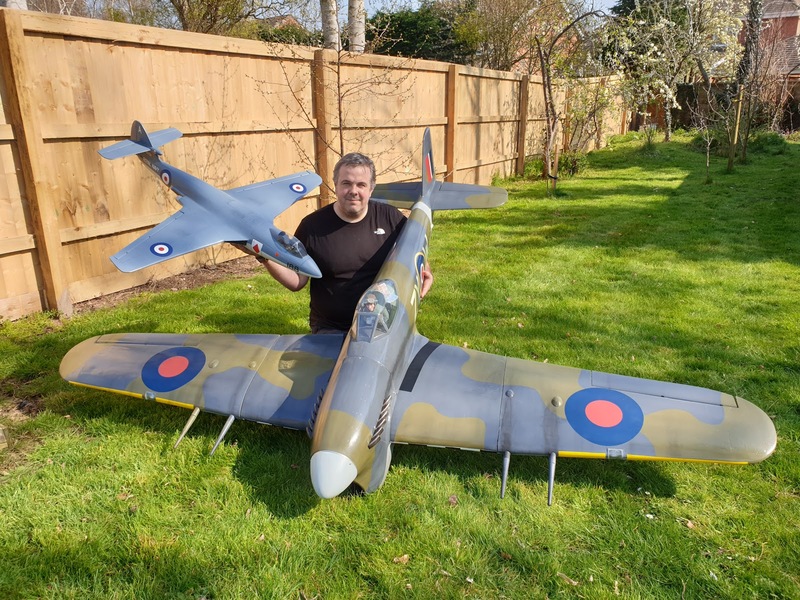 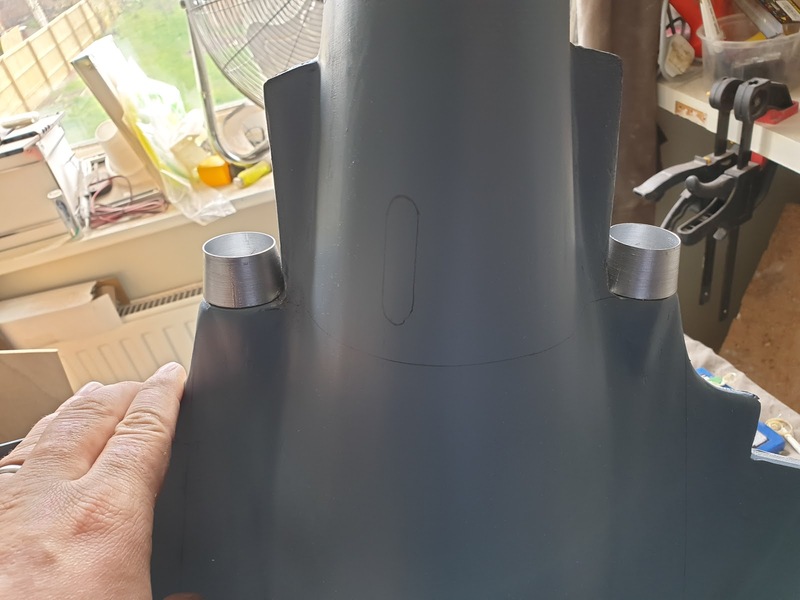 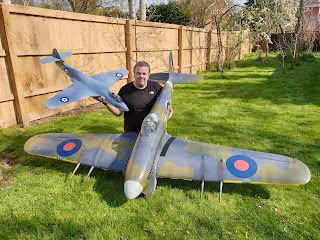 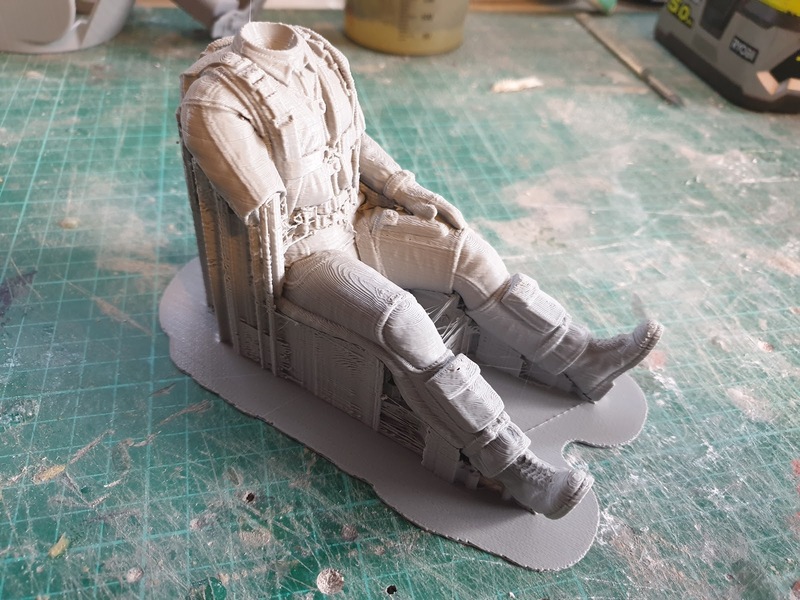 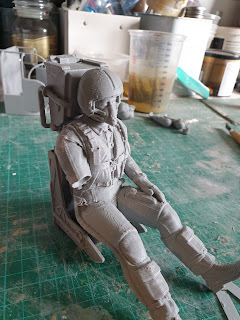 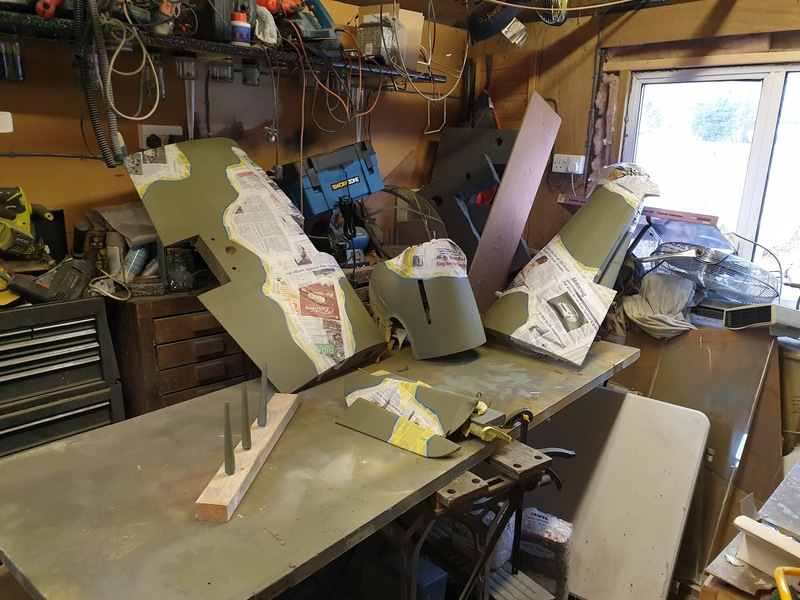 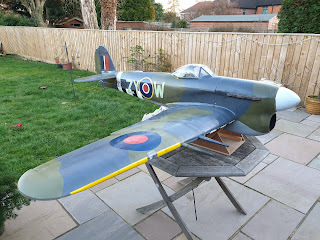 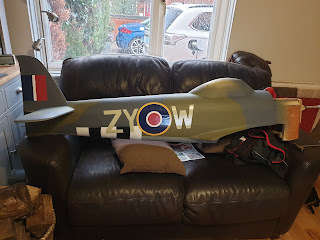 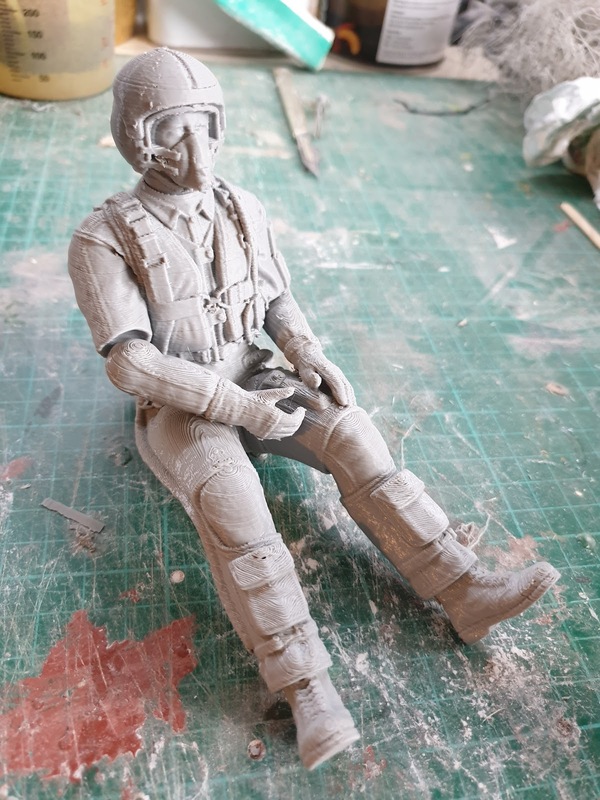 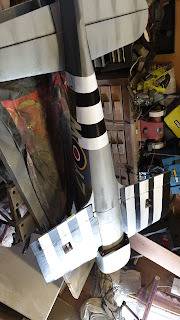 As mentioned previously, I've been doing some work for a friend, designing and making ejection seats for a Tornado (Martin Baker mk10a), as well as buying a 3d model of a jet pilot that I can scale and print for various aircraft in the future. The annual PSSA informal NYE & NYD meet was another good one this year, although I only attended the NYE. 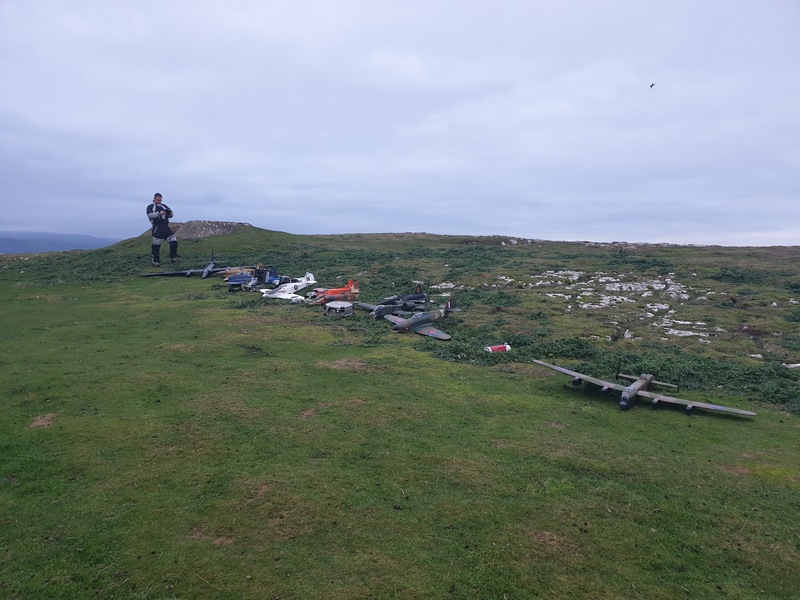 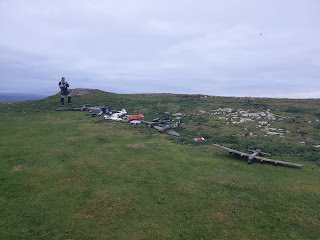 We were blessed with 32mph SW winds into the favoured bowl on the Great Orme, which provided ample lift for everything. No more clunks and bangs from that, excellent. 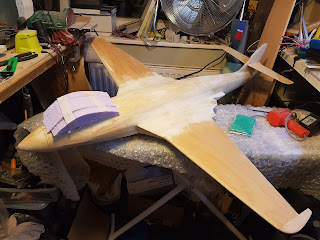 I've now glassed the Seahawk canopy plug, and should be close to finishing that this week. I've also spent some time insulating the shed, so it will be OK to spray in there at this time of year - the Tiffie being the first victim. 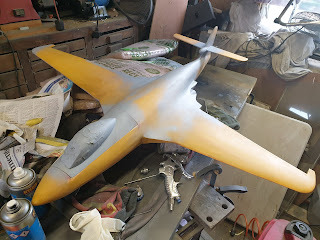 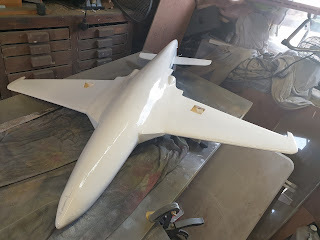 The Seahawk now has a completely glassed airframe, and is now being rubbed down, and more progress has been made on the Liberator. I'm quite liking glassing in the evenings now, certainly beats a film finish. I've also glassed all the main surfaces on the C17 tailplane now, just the stubby bits to finish up and that'll be ready for knocking back too. With any luck, the Seahawk will get some primer this weekend, especially as it's a long weekend for me.